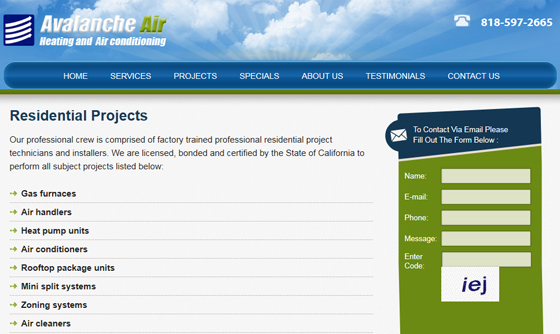 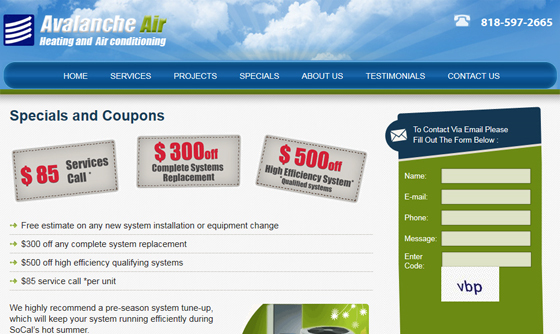 Avalanche AC is an air conditioning sales, service and installation company servicing the Los Angeles metro area. 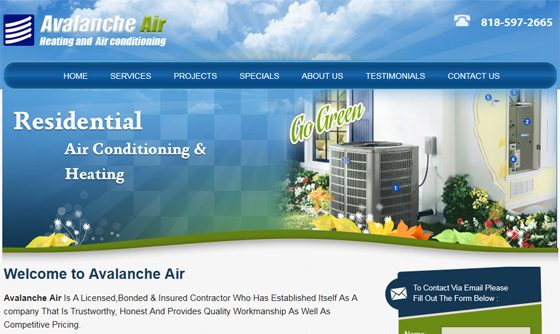 Avalanche AC chose IBCnet to provide consulting, web design and web development services to develop a professional corporate image that coincide with the company needs. 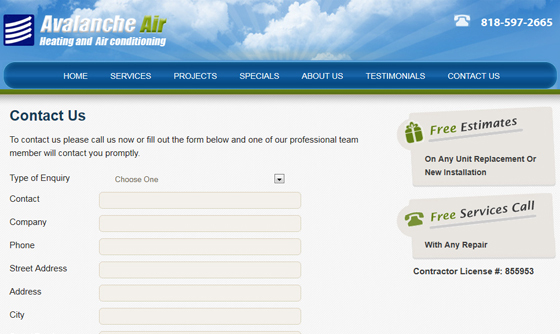 ASP.net, DHTML, IIS, VB, Flash, CSS, HTML, and Java.